Accusations are constantly raised about the large amounts of illegal wood being logged in Romania. It is estimated that around half of the forests logged are done so illegally, and insiders allege that this is because of the insatiable greed of timber investors, corruption and a lack of control by the authorities. Some speak of a mafia system which systematically and strictly dominates the logging sector. The Austrian company “Holzindustrie Schweighofer” sits starkly in the focus of environmentalists. The company is the largest user of Romania’s softwood trees and operates three sawmills and two woodworks for the logging industry. The company also turns trees into briquettes and wood pellets and sells them to many EU countries. Its annual turnover is around half a billion euros. For many years, the Austrian company has been criticised by various NGOs as a beneficiary of illegal practices. For a long time, the largest supplier of Schweighofer was the state-owned forestry company, Romsilva. In 2013, investigations were initiated against the former Romsilva management under Adam Craciunescu for corruption allegations. The former Minister of Agriculture, Ilie Sarbu, and the former Prime Minister, Victor Ponta, were also targeted by anti-corruption officials. In the autumn of 2015, the government stepped down after furious public protests against corruption. Romsilva then took the lead. Mihail Hanzu, a forestry expert, reported a case in “Clearcut Crimes”, a film made by the anti-corruption network “RISE” project. In his previous job as a forestry engineer in the Frumoasa Valley, he witnessed illegal practices on a grand scale. Inventory data on the wood stocks in the forest had been manipulated in such a way that 80 per cent of the logged wood never appeared on paper. He said, ”Nobody ever said no, everyone took bribes. 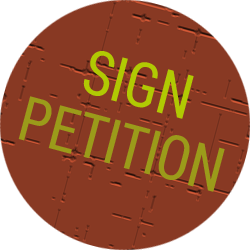 The logging companies do not buy a certain amount of wood, but the right to enter a forest and exploit it. Once they get in, they cut everything they want.” Because he refused to sign papers that were systematically underestimating the stock of wood in the forest, he received death threats. Hanzu then went to the mayor, who was in charge of the forestry administration, to address the issue of the fake papers. He was simply told “not to look.” The anti-corruption authorities in the provincial town of Alba Julia simply threw him out as he attempted to report the case. In June 2016 a brutal case shocked the public. An officer of the border police in the Maramures district near the Ukrainian border was attacked and severely injured by forestry workers during a routine patrol trip. He had to be taken to hospital. The patrol had encountered illegal timber trade across the green EU border. In the late autumn of 2014, Gabriel Paun, president of the environmental NGO, Agent Green, followed a logging truck from the Retezat National Park to the Schweighofer sawmill in Sebes. Video footage shows how Paun asks the police whether the transport of wood is legal. A female voice says the timber delivery is “illegal”. When Paun points out the guards at the factory gate, he is attacked by the pepper spray and he falls to the ground. In April 2015, the US eNGO, Environmental Investigation Agency (EIA), presented an undercover video showing how the EIA Director Alexander von Bismarck offers illegal timber to Schweighofer’s managers. In October 2015, Bismarck stated that ”Schweighofer is one of Europe’s largest timber groups, and one of the biggest drivers of illegal woodcutting in Romania. Its whole business model is about illegal wood.” Obviously, the presumption of innocence applies to those responsible for the company. Representatives of the Schweighofer Group denied these statements, only spoke of “mistakes” during the registration process, published a counter story on their own website, accused the EIA of having shortened the material and altering the context and demanded the publication of the uncut video. However, the EIA rejected the latter for reasons of data protection. The Austrian newsmagazine profile, however, was able to exclusively view the entire material and claimed that they could not see any difference between the uncut and cut versions.. In February 2016, Schweighofer went on the offensive and invited journalists to his plant in Rădăuţi, announcing a better traceability system of the wood purchased through a new GPS system, and claimed they wanted to cooperate with NGOs. In November 2015, WWF lodged a complaint against Schweighofer with the Forest Stewardship Council (FSC) International. The WWF also launched a complaint against the FSC certification of the company, which was renewed in January 2016 by the Austrian test company, Quality Austria. Quality Austria had allowed the certification despite serious accusations of illegality. WWF forest expert Johannes Zahnen claimed, “At present only two percent of the wood processed by Schweighofer comes from its own FSC-certified forests. However, the FSC seal can be recognised even if the business practices of a timber company are incompatible with the environmental and sustainability principles of FSC.” On June 23, 2016, the FSC certificate was temporarily suspended – the Austrian certification body decided itself to suspend the Certificate because of defects. After it was discovered that FSC’s rules and laws had been broken, the FSC Management Board imposed a provisional sanction against Holzindustrie Schweighofer. The FSC noted that there existed clear and convincing evidence that Schweighofer was involved in the illegal timber trade, on the one hand by the purchase of illegal timber and on the other by corresponding activities within its own sawmills. The FSC Investigation Commission concluded that Schweighofer had, among other things, promoted exceeding the permissible wood cutting limits. Schweighofer colluded with dodgy companies and individuals. Once again, they have been linked to corruption and illegal business practices. In part, these companies were also pre-financed by Schweighofer in order to carry out their dubious businesses. The FSC Investigation Commission also drew attention to recent reports and allegations of the involvement of Schweighofer in illegal timber businesses and corruption in the Ukraine. Conclusion: Schweighofer violated the FSC “policy of association”. The fact that the company was not simply excluded from FSC is because of its strong market position. One of the requirements for the re-association with the FSC is that Schweighofer publicly acknowledges its responsibility for certain irregularities in the supply chain and it has committed to address the deficiencies in cooperation with civil society organisations. In January 2017, Schweighofer told media that it broadly agrees with the FSC report. A spokesman said “It’s generally not wrong, what’s written in there but one must look at it in a differentiated way.” Schweighofer will invest in a GPS system that will apparently allow a seamless control of the wood delivered. Furthermore, there will be 29 controls in the forest. In the video series “S-Files“, the EIA presented new evidence for tricks in Romania at the end of 2016. ”Ghost trucks” would constantly supply Schweighofer wood from unlikely sources such as cornfields and cemeteries. Obviously, the GPS data for wood sources were very badly falsified. On February 17, 2017, the FSC finally announced its intention to terminate its cooperation with Holzindustrie Schweighofer. 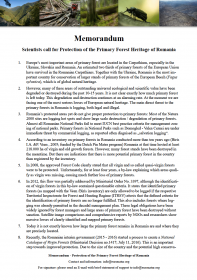 A re-examination of the WWF complaint, according to the FSC, had in the meantime revealed further possible violations. The FSC Board decided that the probation of Schweighofer could not be maintained. Schweighhofer is, however, not the only company to be criticised for alleged involvement in illegal logging. 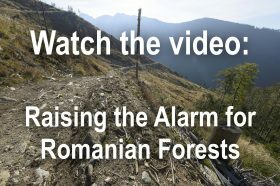 Romanian environmentalists claim that illegal practices are widespread throughout the logging sector. Apart from Schweighofer, Agent Green has also challenged the companies Kronospan, Losan and Massiv to publicly refuse wood from virgin forests.